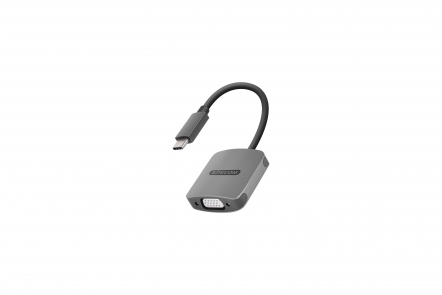 The CN-374 USB-C to VGA with USB-C Power Delivery from Sitecom lets you connect a TV, monitor or projector that uses VGA, and connect your USB-C power cord to the USB-C port of your MacBook, Chromebook or Windows notebook to charge. 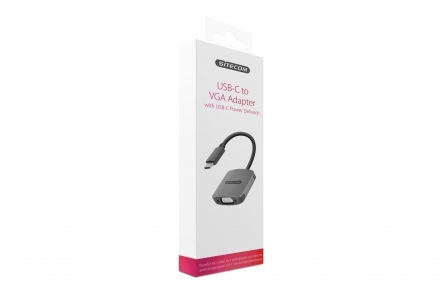 The USB Type-C connector is slim and tailored to fit mobile devices as well as laptops and tablets. It features a reversible plug which makes it easy to connect instantly without fumbling around. Watch video content from your USB-C device on an analog TV or home projector. To enjoy a first class home-cinema experience including audio, simply plug a 3.5 mm jack cable into your device and connect it with your TV or soundbar.